After nearly 50 years of Liberal and PQ governments, Quebec voters opted for a new direction earlier this month, ushering the Coalition Avenir Québec into power. On the campaign trail, CAQ leader and premier-designate François Legault committed to the long-term goal of ending Quebec’s dependence on the federal equalization program. Equalization, often a touch point for heated rhetoric and regional tension, is a federal program that distributes cash to less-prosperous provinces so they can provide their residents public services comparable to those in other provinces, at reasonably comparable levels of taxation. Some people may find it hard to imagine the equalization program without Quebec as a major recipient. Indeed, Quebec has received equalization every year since the program’s inception in 1957. But there are precedents for a perennial equalization recipient ending its dependence. Saskatchewan, for example, received equalization every year from 1986 until 2002 but then, thanks to strong economic growth and significant natural resource revenues, has been a perennial “have” province for a decade now. This example demonstrates the value of aiming to shed “have not” status—the goal can help focus Quebec policymakers on developing strategies (such as creating competitive tax environment) to attract investment to the province, increase productivity, encourage natural resource development, and ultimately raise living standards for Quebecers. So achieving “have” status is a great goal. But some realism is required about the timeframe. Fiscal capacity per person (the ability to raise revenue at a given level of taxation) determines a province’s status in the equalization program. Quebec’s fiscal capacity is now approximately 20 per cent lower than in Ontario, a “have” province this year after 10 years of “have not” status. So raising Quebec’s per person fiscal capacity to Ontario’s level is (approximately) what Quebec must do to get the job done. This is, to put it mildly, ambitious. Productivity and incomes (the primary drivers of fiscal capacity) have historically been 15-20 per cent lower in Quebec than Ontario (which also comprises about 60 per cent of Canada’s population outside Quebec). Closing this large and historically consistent gap is a big lift. That’s not to say Quebec can’t make a lot of progress with time. For example, if Quebec outpaced Ontario in per person economic growth (which roughly tracks per person fiscal capacity) by an average of one percentage point per year for the next 20 years, the two provinces would wind up near parity in per person incomes and fiscal capacity. However, equalization’s formula is such that even this long period of outpacing Ontario might not be enough to get Quebec entirely off the program. Specifically, if a large lower-income province such as Quebec got richer, it would gradually raise the bar that determines what provinces receive equalization. Still, strong growth in Quebec would mean a steady reduction in entitlements, conceivably until equalization payments reach zero. 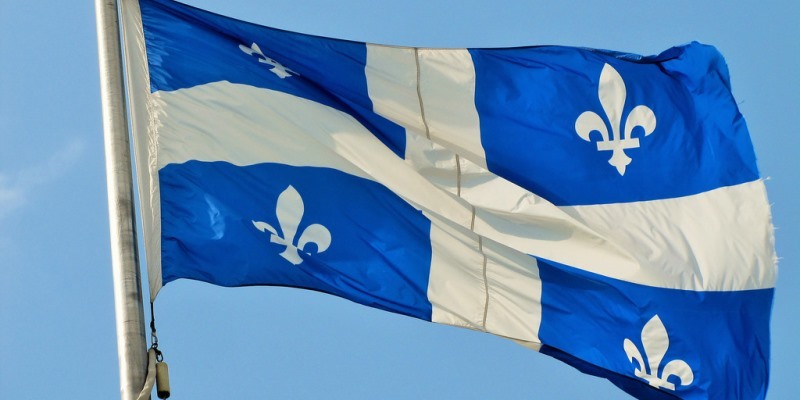 Therein lies the value of the target—reducing Quebec’s long-standing reliance on equalization, with an eye on one day ending it, could be a powerful rallying cry for pro-growth policies that help attract investment, enhance productivity and boost incomes in the province. If Quebec is to make meaningful progress towards Legault’s goal, such policies must include reducing the province’s burdensome and growth-stunting tax rates and creating a tax and regulatory environment friendly to natural resource development. Clearly, eliminating or substantially reducing Quebec’s reliance on equalization won’t be easy and will take time, but that’s true for almost anything worth doing. Quebec’s new government should be congratulated for making this goal a priority. And the rest of Canada should wish Quebec bonne chance.